Looking at a quick screen of stocks hitting five year highs it's mostly medical and financial stocks. Most of the major brokerage firms like Schwab are at fresh 5 years. Most of the breakouts and momentum has been in biotech lately. 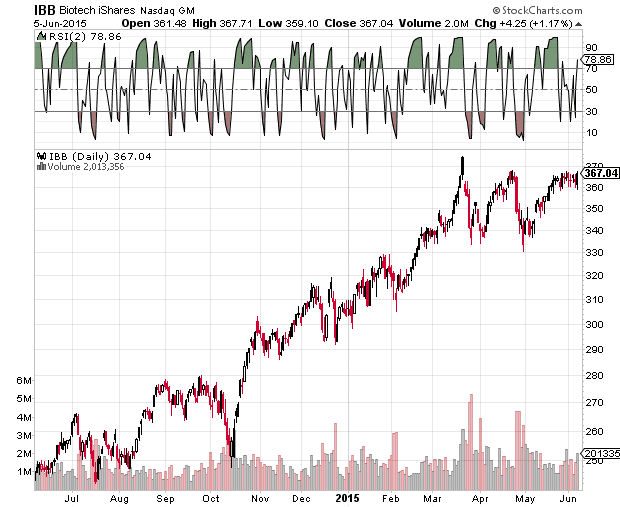 I'm going to go on a limb here and say the biotech index hits a new high soon. IBB isn't saying new high in the chart, rather it is stalled. IBB seems pretty happy up here though.